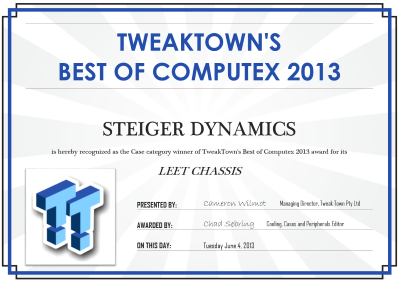 For your convenience, find press releases to download and to use for your STEIGER DYNAMICS product review or feature. 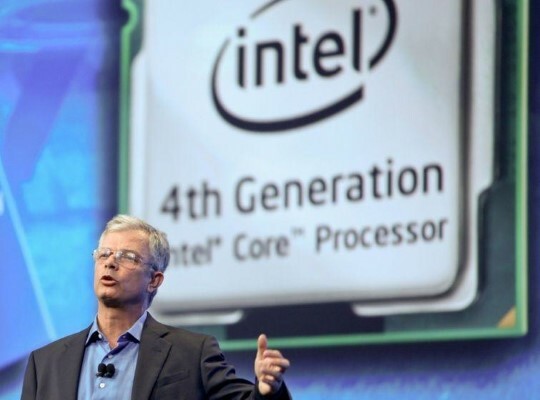 Encased in the award-winning hand-brushed aluminum LEET Mk2 and MAVEN Mk2 chassis, LEET and MAVEN VR Edition Living Room PCs are based on Intel’s latest Kabylake platform. 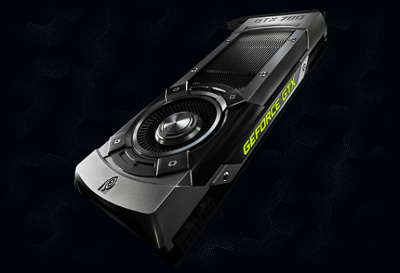 NVIDIA 10-series graphics cards and Windows 10 ensure optimum VR performance and guaranteed compatibility with the Oculus Rift and HTC Vive Virtual Reality headsets. 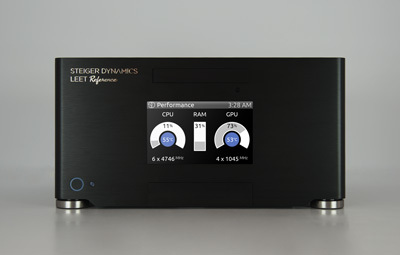 MAVEN and LEET VR Edition complete STEIGER DYNAMICS’ VR-capable product family and provide a unique feature set which makes them the optimum solution for where VR works best – the living room. 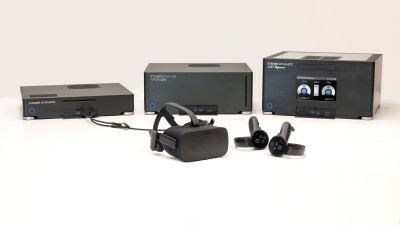 Accessible via a subtle flap door, the additional high-speed front HDMI 2.0b and USB 3.0 ports allow to comfortably connect and disconnect a VR headset to the system without having to fiddle about in the rear. 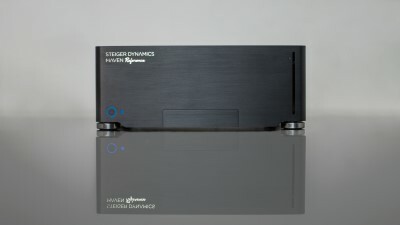 HTPC manufacturer STEIGER DYNAMICS has revised its award-winning MAVEN® mid-size living room PC. 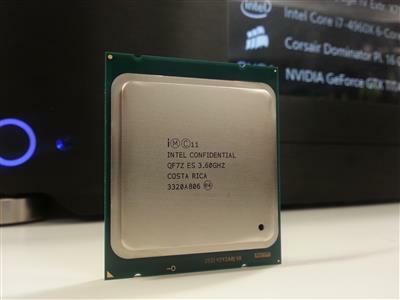 An optimized interior layout ensures improved air flow and superior cooling of all major components. It also allows for a reduction in height of 5 mm, giving MAVEN even more beautiful width-to-height proportions. 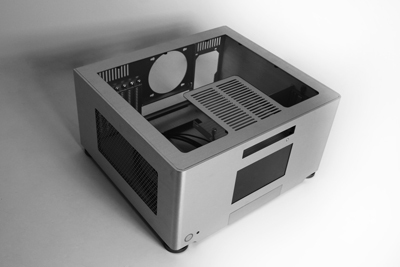 This is achieved by keeping the characteristic thickness of the single-piece brushedaluminum shell unchanged at 4 mm. 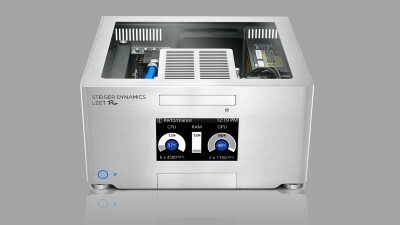 STEIGER DYNAMICS introduces LEET Pro, the world’s first workstation for the living room. 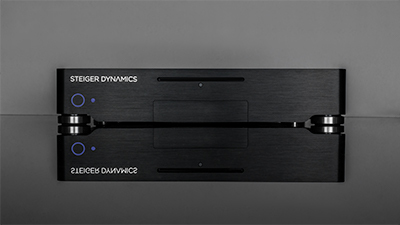 STEIGER DYNAMICS introduces ERA, the world’s most powerful Home Theater PC in its segment. COUCHMASTER Basic, the most comfortable lapdesk for mouse and keyboard, brings the desktop PC experience to your living room. 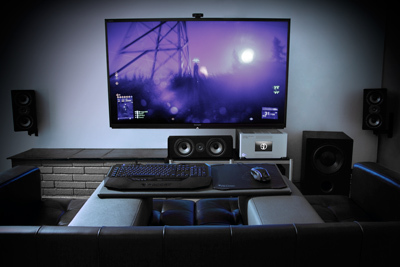 Designed for wireless peripherals, the COUCHMASTER Basic allows users to have a comfortable support for their input devices while working or gaming on their living room PC. 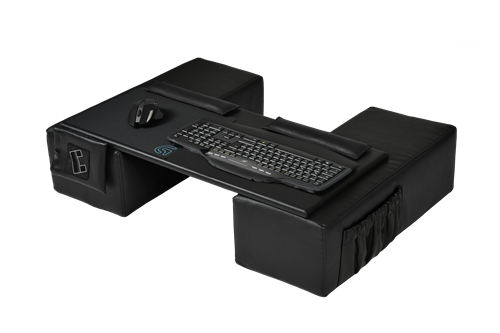 Two side support cushions can be adjusted to be comfortable for any user and the crossboard provides a sturdy, light-weight surface for mouse and keyboard. 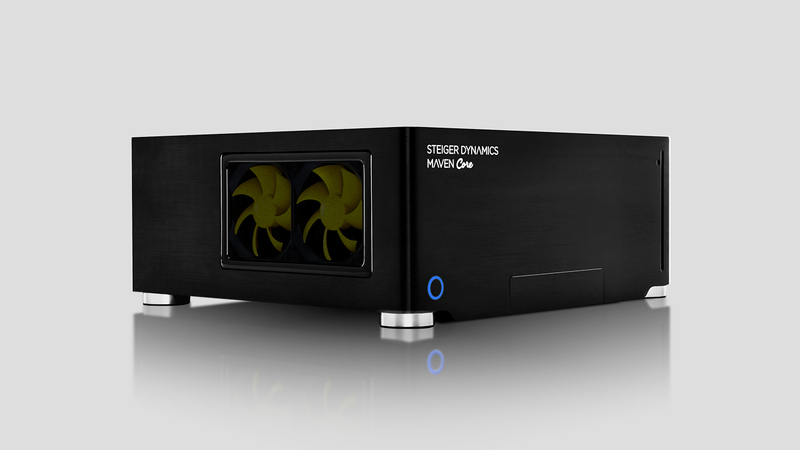 STEIGER DYNAMICS introduces MAVEN, the world's most powerful mid-sized gaming HTPC. 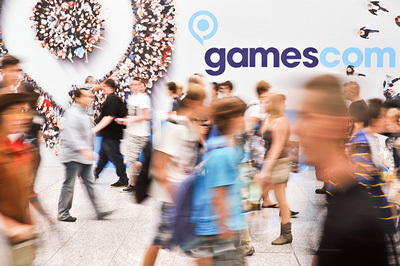 MAVEN is the most powerful Gaming HTPC and future Steam Machine in its class. 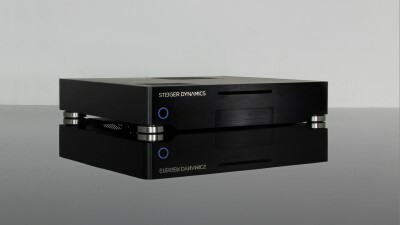 Due to its sleek design, ultra-silent operation, and easy integration with other home theater components, the systems blend perfectly into any existing setup. 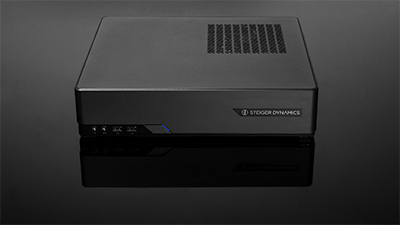 Combined with a large-screen Full HD or 4K TV, the MAVEN replaces numerous devices like Blu-ray players, DVRs, Desktop PCs and gaming consoles. 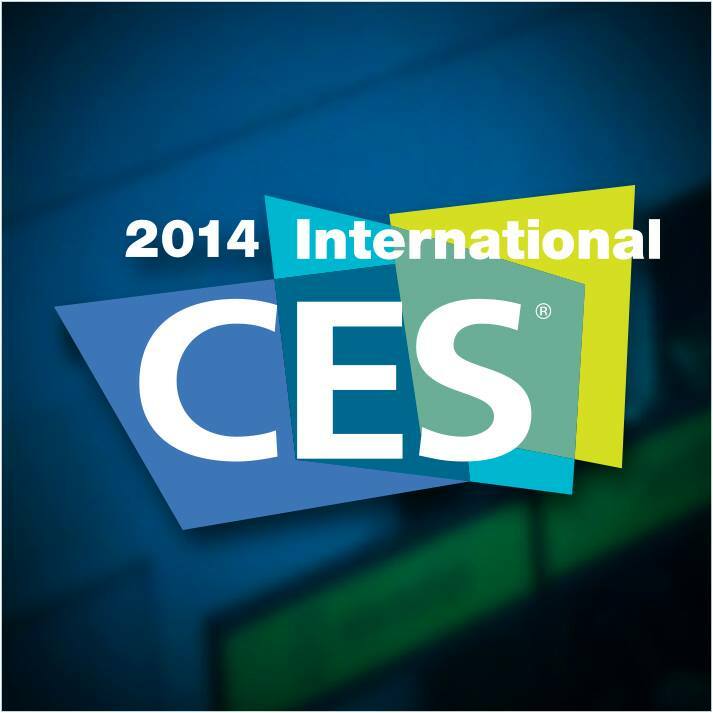 The International CES is the largest consumer electronics show in the world that brings together more than 152,000 consumer technology innovators from 150 countries every year to address the latest issues in the industry. 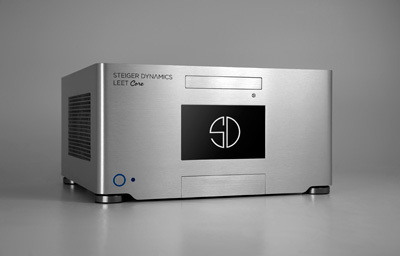 STEIGER DYNAMICS, award-winning manufacturer of custom Gaming Home Theater PCs, announced today the debut of the LEET™ Monochrome Limited Edition Gaming Home Theater PC to their Core and Reference lines.